I know 2017 isn't officially over yet but I will be taking a hiatus from the internet soon and before I do I wanted to take some time to review some of the things I accomplished this year and set a few goals for 2018. When I publish this post, I will have a total of 13 posts to show for this year. 7 of them were I Believe In Artists Interviews. I definitely plan to increase the number of interviews in 2018 but when it comes to other topics I don't like to set anything in stone but prefer to allow them to arise organically as all of my remaining posts did this year. Of those posts, the most popular was my Creating Time and Space post in July. 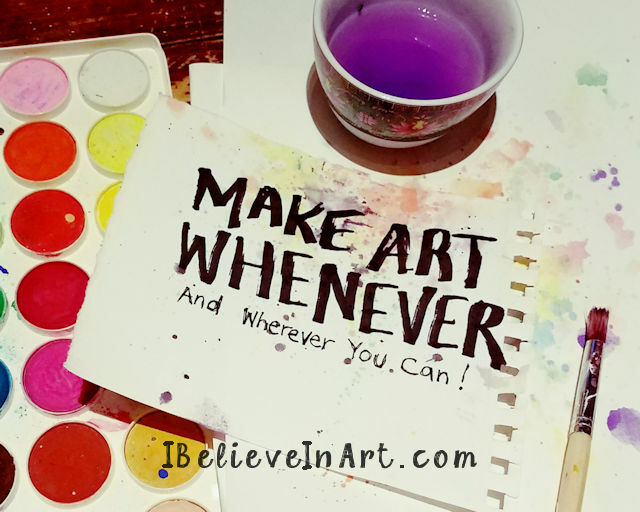 This post was a response to some of the comments I was getting on The I Believe In Art Facebook page from artists who were struggling to find time and space for their art. It wasn't a shock to me that so many people resonated with it as I think many artists struggle with these issues. 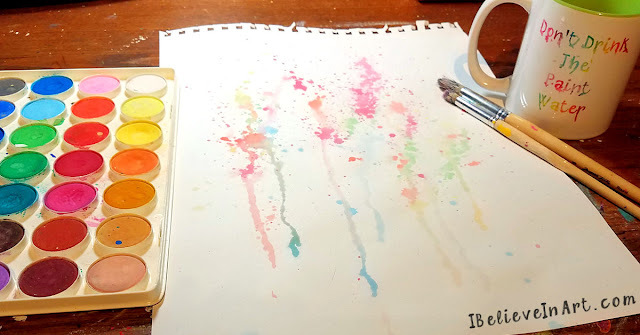 A first for me was my Plant Splatters and Drips Tutorial post. I did this to fulfill a request from one of the followers on The I Believe In Art Instagram feed. It was a challenge for me to do a video but it was also fun. I would love to do more of those in 2018 and I'm open to suggestions on what techniques or topics you may want me to explore. As always, a looming topic both on this blog and on The Facebook Page was keeping my art studio clean, another ongoing struggle for artists! 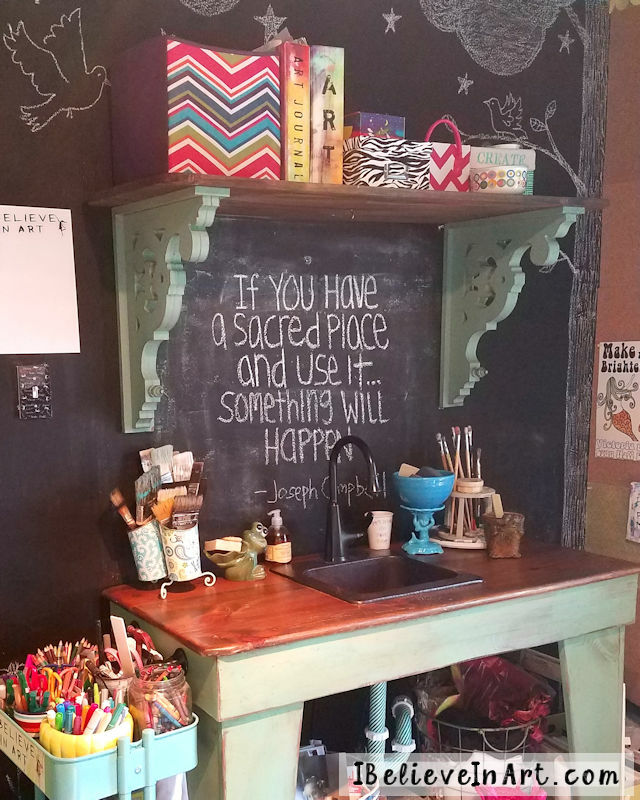 I had a bit of a breakthrough which I wrote about in my A Sacred Place post and I have been much more mindful about what I let into that space now. However, I am also getting better at not using a messy studio as an excuse to not make art (you can read more about that and my other excuses on my 5 Reasons To Not Make Art post from 2016) . I just tell myself that chaos is conducive to creativity and then clear some space on my desk or a path to my easel! Perhaps I will write even more about that in 2018. The other 2 posts from this year combined my love of art with my love of music. 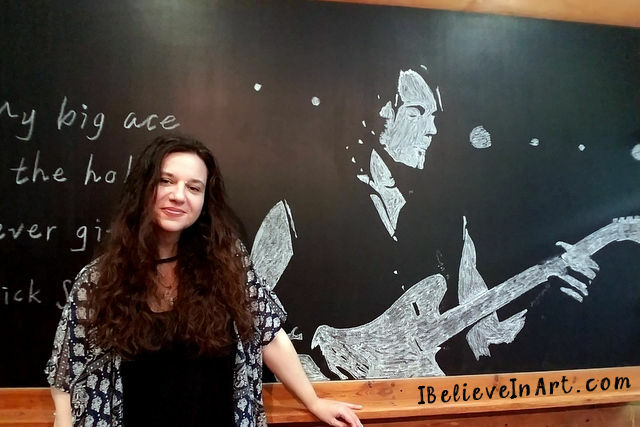 One was my third annual post about my favorite muse, Mr. Rick Springfield (who has a new album coming out in January, Yay!). The other was about a song I wrote called Van Gogh's Footsteps. I plan to focus a lot more on music in the future, so I'm sure it will come up in some of my posts in 2018 too. 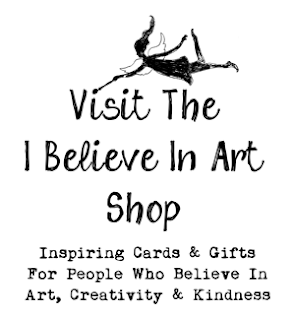 However, I would say my main goal for this blog and the I Believe In Art Facebook and Instagram pages in 2018 is to create much more content to encourage and support my fellow artists. With that goal in mind, I would love to have your feedback. 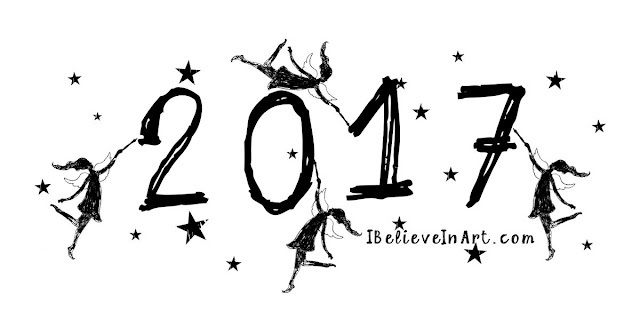 Was there a post on this blog this year (or any year) that really resonated with you? Is there an issue you struggle with as an artist that you would like me to explore on this blog? Please feel free to leave a comment on this post or PM me through The Facebook Page any time. One last note, I will be unavailable to reply to comments here or on Facebook and Instagram for the last two weeks of this year but I will look forward to catching up with all of you as 2018 begins! Until then, Happy Holidays and Happy Creating!